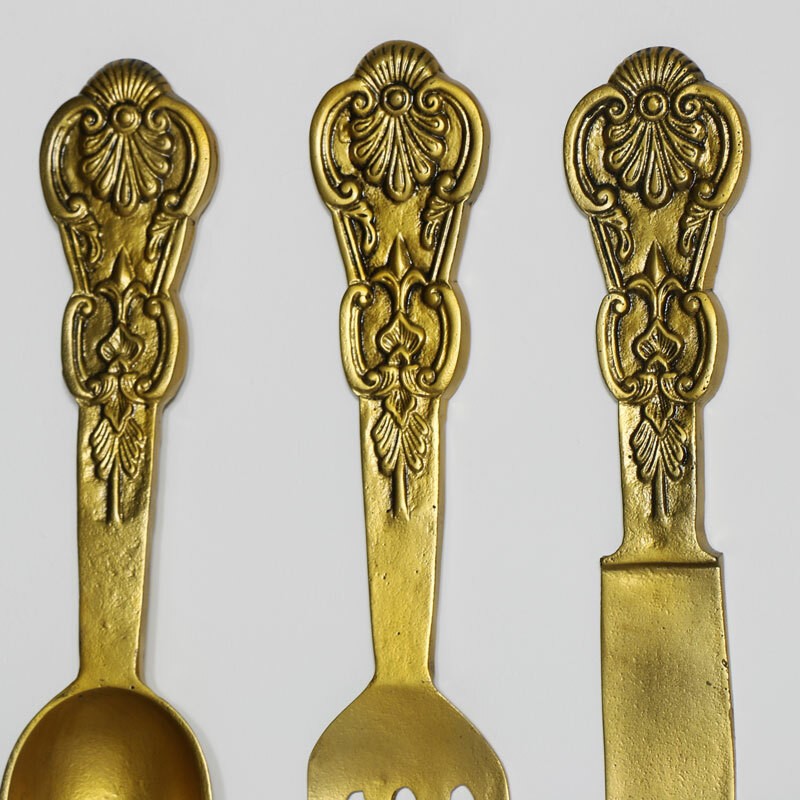 This Ornamental Oversized Gold Metal Cutlery Set is a perfect statement wall decor piece for a kitchen, dining room or hallway. Perfect for the family chef or those who love vintage inspired design. Baroque detailing on the handles add vintage appeal. 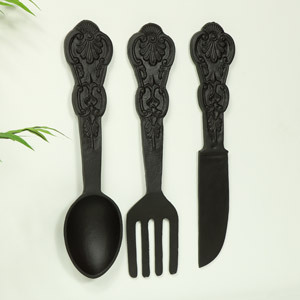 The set features a knife, fork and spoon in a large size, a great focal point for the kitchen. Also available in other colours. A great gift idea for the chef of the home. 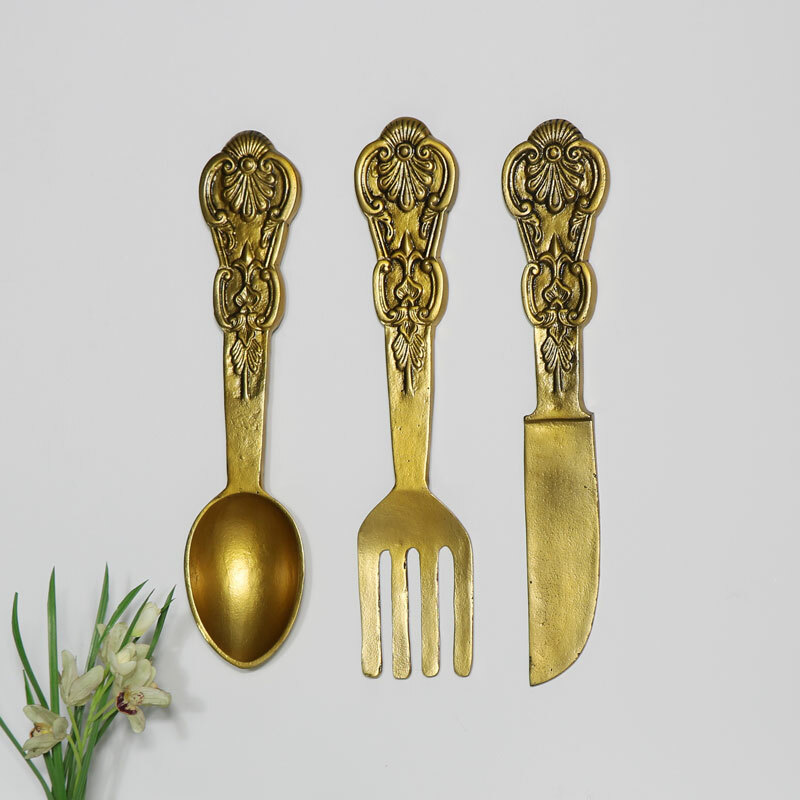 This Ornamental Oversized Gold Metal Cutlery Set is a perfect statement wall decor piece for a kitchen, dining room or hallway. 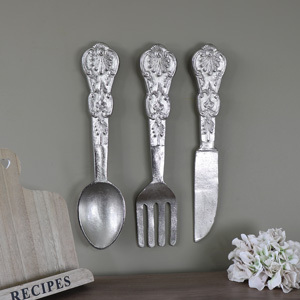 Perfect for the family chef or those who love vintage inspired design. A great gift idea for the chef of the home.